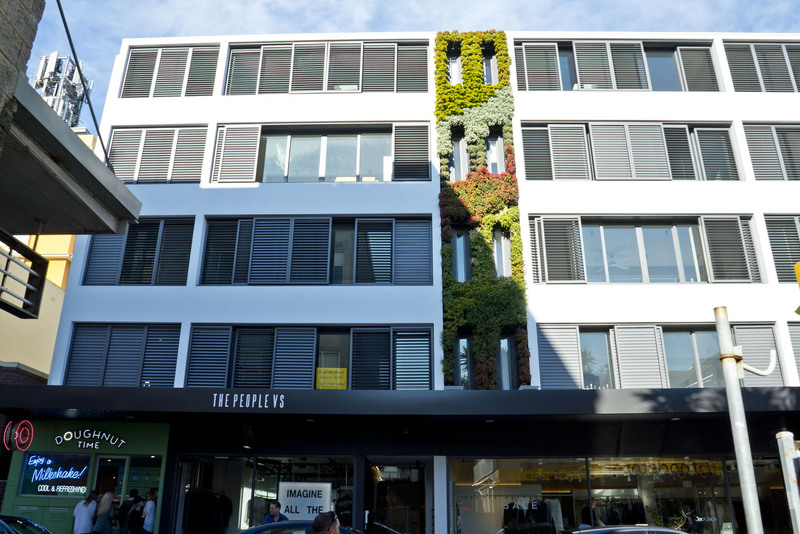 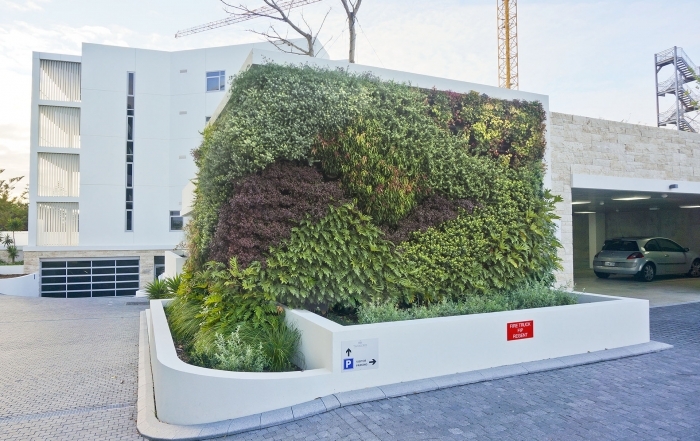 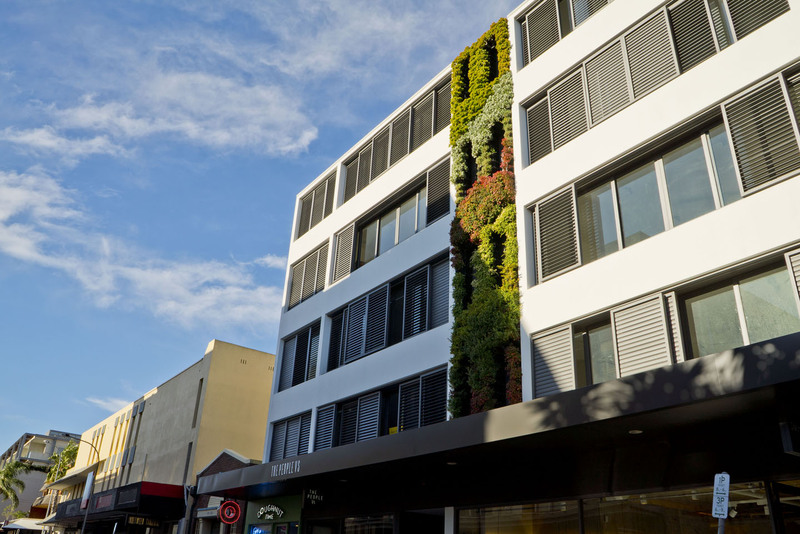 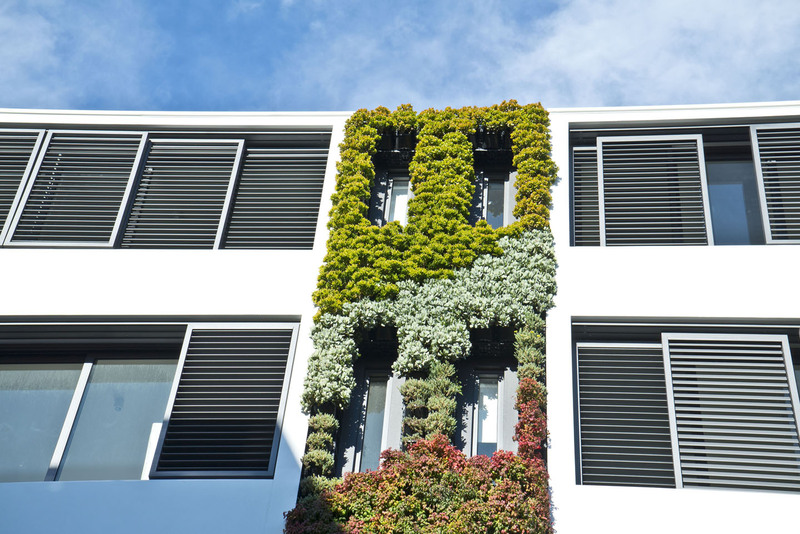 The vertical garden at 82-92 Gould St Bondi has become quite a feature. 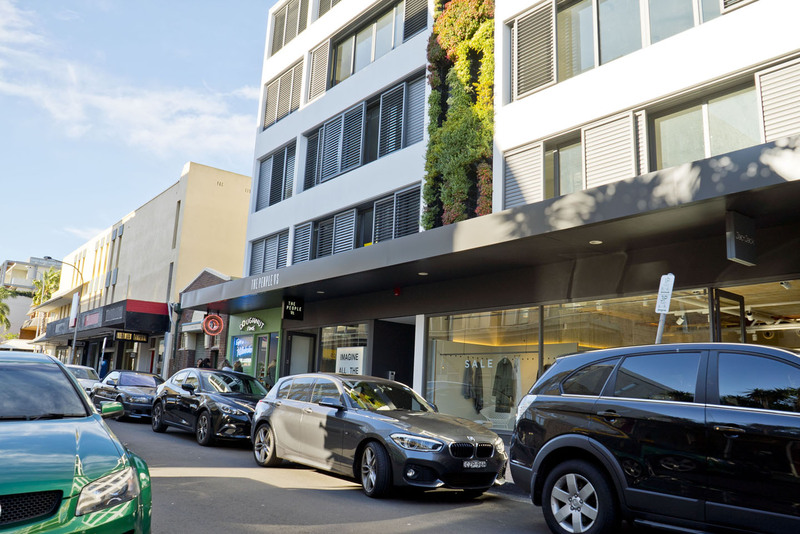 Tourists as well as residents are all talking. 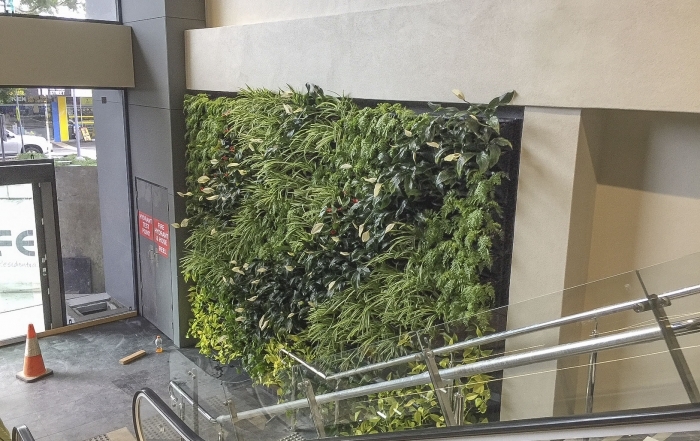 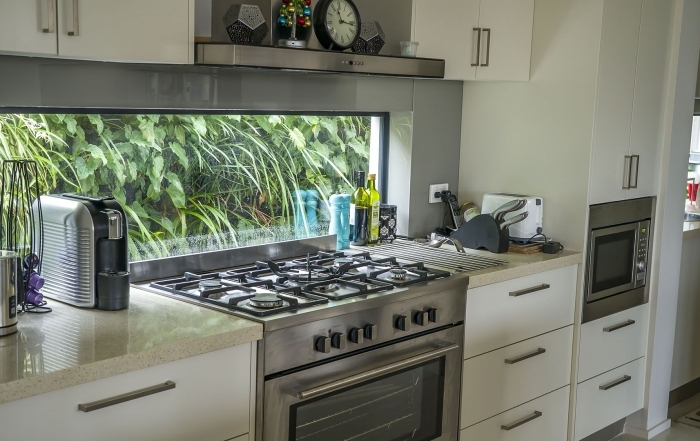 The question asked is “Are those plants real?” Well they are, and the plants are providing some real environmental benefits to the area, including oxygen. 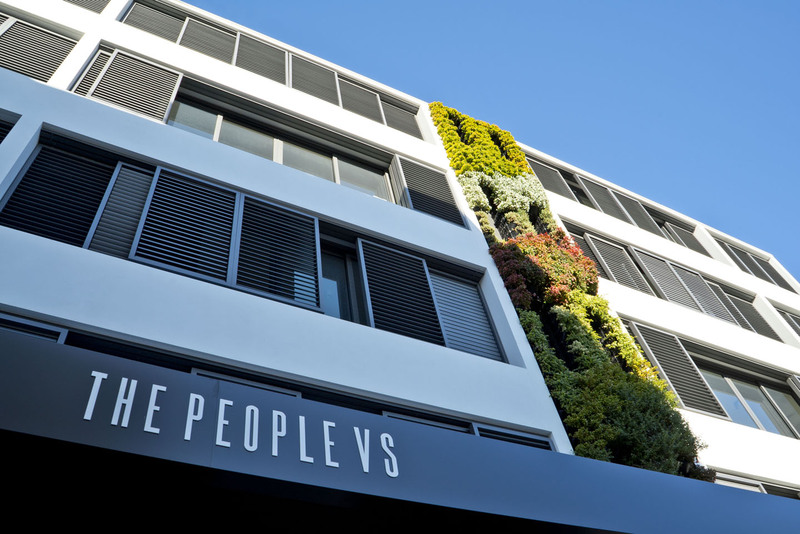 Plants had to withstand the salt laden winds of Bondi and provide an attractive façade to the building. 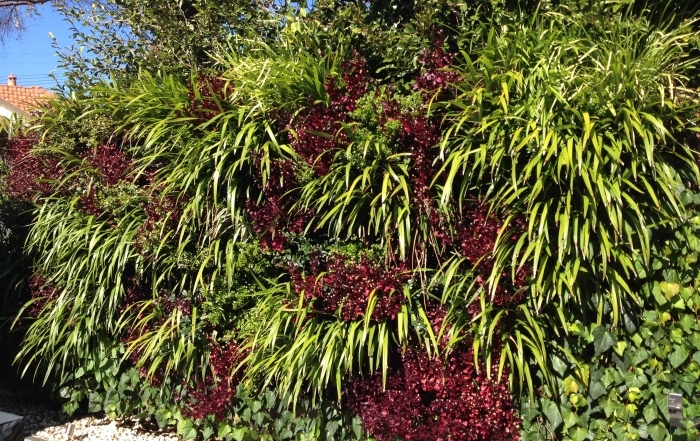 The large volume of growing media in the system and individual plant irrigation means the plants will provide an attractive display for many years.